In this new edition of an influential and award-winning best-seller, more than twenty men and women have committed their talents to produce the most thorough response yet to this modern movement. Combining systematic argumentation with popular application, this volume deals with all of the main passages of Scripture brought forward in this controversy regarding gender-based role differences. 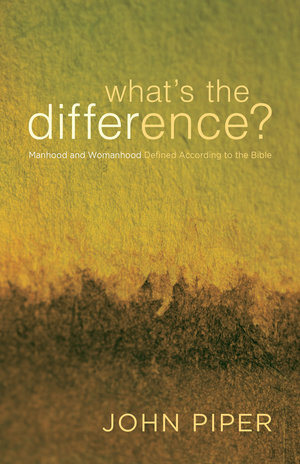 The topic of manhood and womanhood is still strongly debated today and still greatly impacts our society. For Christians there is no doubt that the Bible must be the last word. But what does it teach about true manhood and womanhood? In what ways are men and women essentially the same? In what ways are they essentially different? And how do these differences affect our roles in the home, the church, and the wider society? Good: The Joy of Christian Manhood and Womanhood is a unique volume from 14 different contributors who set out to cast a vision for manhood and womanhood that is rooted more in beauty than mere ideology, more in gladness than mere position. This book’s aim is to capture and highlight this indispensable accent for an emerging generation of Christians.